With phone manufacturers pumping out Android devices it’s no wonder we get this question so frequently. With multiple manufacturers such as HTC, Motorola, Samsung to name a few all making devices with the Android OS and each one adding their own touch to differentiate their phones, the decision becomes a little more complicated. Here are a few quick things to note about Android if you don’t quite know where the heck Android came from – seemingly – all of a sudden. Android is an open source OS based on Linux. Interested in learning more about the evolution of Android? Read – All you need to know about Android in 3 mins. Android devices come in several different form factors given the sheer number of manufacturers developing devices on Android. It’s also important to note that Google’s frequent updates of OSs make it somewhat difficult for the carriers to keep up and often times newly released devices are still running an older versions of Android. Android offers seamless integration with Google Apps like Gmail, Google Calendar, Google Maps and Google Talk and has a vibrant apps marketplace that can rival Apple’s in terms of app quality and availability. So here’s the bottom line. Specs are specs and certainly you can make a decision on specs alone. 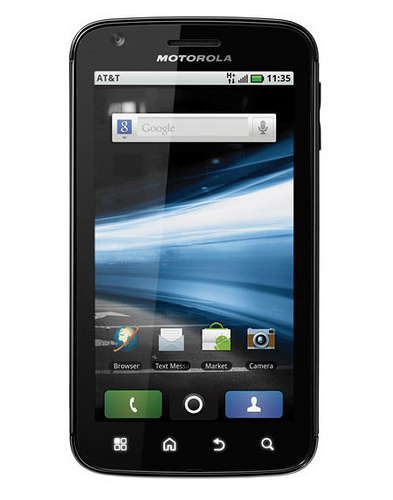 However, with most smartphones today being faster and more powerful than computers of a decade ago, I will focus on why the top 3 Android phones really standout as my top 3 picks, heading into the 2011 back to school period. Although this device has been on the market for six months by the time of writing it still makes my top three. The first Android with dual core processors with each core running at 1 GHz. An ingenious laptop solution, which Motorola calls a lap dock solution, gives you the ability to dock the phone and use it as a pc or netbook, if you purchase optional accessories. Once the accessories drop in price – currently around the $199 price point – this may be the perfect device to function as both a smartphone and laptop solution. The Atrix is still exclusive to Bell at the time of writing. This phone is Google’s second pass at a device following the Nexus One of early 2010. 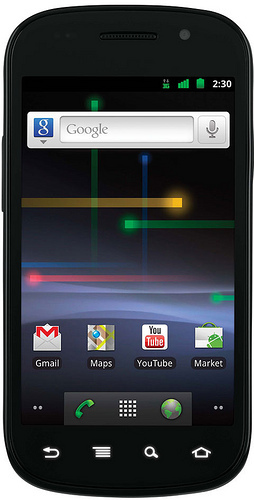 This time Google has partnered with Samsung to deliver the Samsung Nexus S, which runs Google’s Android OS, the way it’s supposed to be. That being, without the manufacturer-bloated bells and whistles and as a result updates should be regular and consistent. The phone is a good balance of functionality and design providing a good network connection, crisp quality phone calls and a responsive interface. The phone has a slightly curved screen, which is good for reducing glare. It also has a front-facing camera and the rear-facing camera has a flash LED, which takes nice photos for a phone. A front facing camera for VoIP calls (like Skype), NFC (Near Field Communication) which will allow you to make mobile payments with your phone in the near future and the ability to share web access with up to 6 devices like your tablet or laptop. 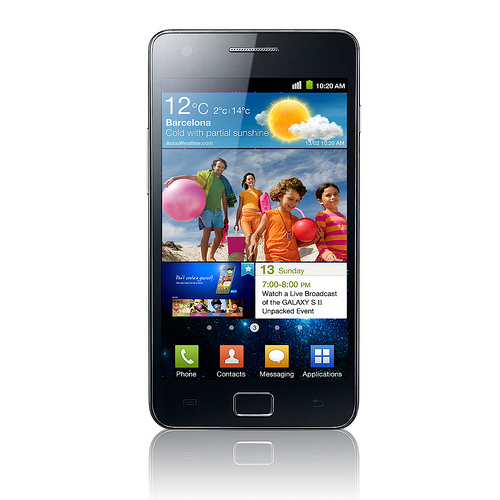 The Samsung Galaxy S2 is the follow-up device to its predecessor of the same name. This phone hands-down wins the award for the most beautiful android phone in market today and the Galaxy S II threatens the supremacy of the iPhone. With a 4.3 inch display, dual core processors, 8MP camera and other goodies like, voice recognition, a number of hubs for reading, social activity and games as well as AllShare, which allows you to connect the Samsung Galaxy S II to a TV, laptop or audio system. The Samsung galaxy S2 is exclusive to Bell in Canada at the moment , however you can get your android device on the best cellphone plan with mycellmyterms.